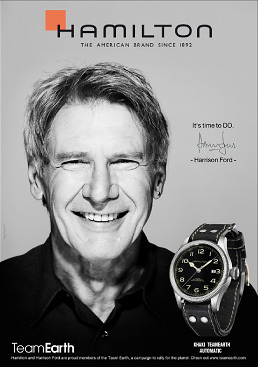 Khaki Team Earth Collection Harrison Ford and Hamilton create a new collection in support of Team Earth, a coalition addressing some of the most pressing environmental issues of our day. 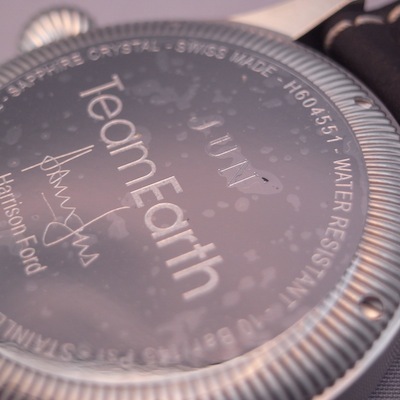 Created as a platform for change, Team Earth is committed to catalyzing personal and collective action for the planet via the connective power of the web. 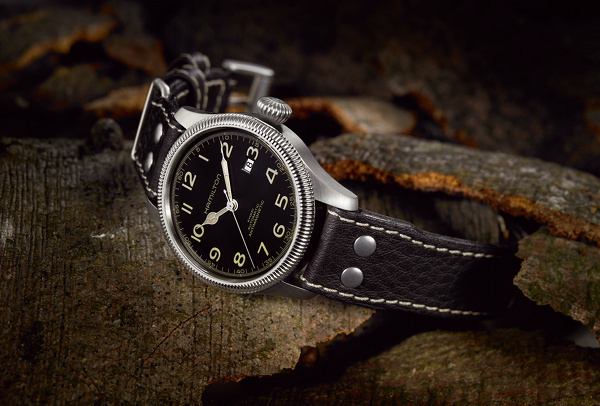 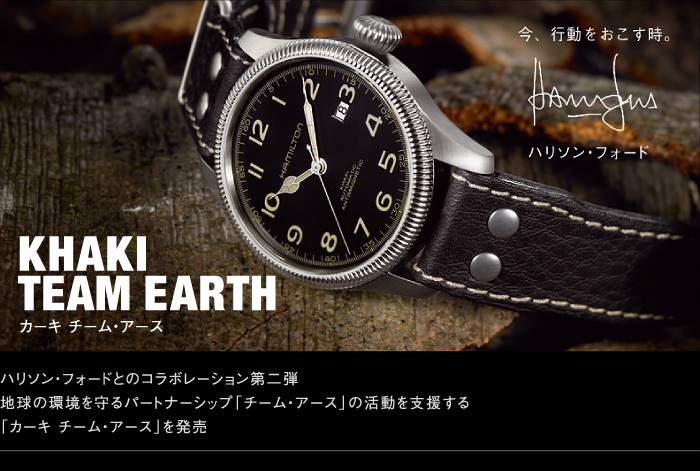 The Khaki Team Earth Collection is the second series of watches created in collaboration with the American actor to benefit the work of Conservation International.